OTRCAT.com is a small family run business since 1999. 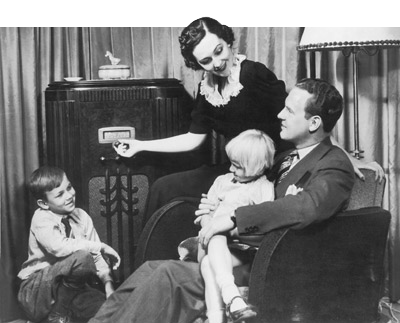 We offer thousands of old time radio shows on MP3 CD and audio CD for fans of old time radio. 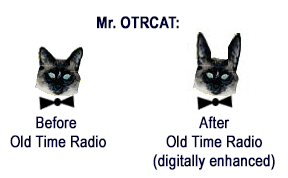 After many years of listening and collecting old time radio shows, the OTRCAT (pronounced 'oh-tee-R cat' - from Old Time Radio Catalog) web site started in 1999. After reading "On the Air, The Encyclopedia of Old Time Radio," by John Dunning, I looked to expand my collection. Up until the late 1990's, collecting old time radio shows was expensive and the shows themselves were rare. The original site began as a old time radio trading site to share my collection, further my personal collection of old time radio shows, and provide a place for other fans to research the history of the shows and performers. Since the 1990's, OTRCAT has encoded thousands old time radio shows into the MP3 format. As the collection expanded, fellow collectors asked for copies of the recordings. For listeners who want to order the shows, the CDs are offered at the reasonable price of $5.00 so everyone can afford to listen to these amazing shows. Collections are available on archival-quality media created with profesional-grade duplicators which can be enjoyed for years to come. There are also new episodes to listen to every day of the week. Proceeds from the website offset the price of machinery, supplies, and growing old time radio collection; every month OTRCAT also sends out free CDs of old time radio shows to various low-income retirement homes, centers for the blind, and American field troops based Afghanistan in hopes they will enjoy the nostalgia of these classic radio recordings. OTRCAT.com is a family-run business from the heart of America since 1999. All our cds are made to order with the highest quality and shipped from Kansas City. Your order is filled and double checked by hand to insure that you get exactly the radio shows that you ordered. We take great pride in the products that we create and want you to feel proud that you are supporting an American-based business. Not only do we manufacture all of our products in the USA, our machinery and labels are all made in the USA. 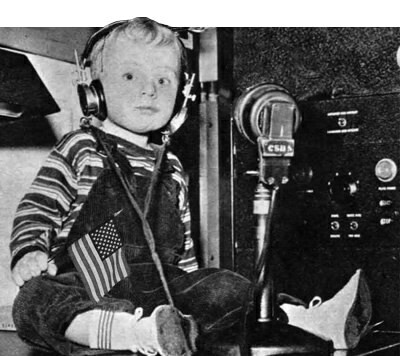 OTRCAT.com wants to thank you for supporting small family businesses in America and the preservation of old time radio shows. We have been in operation since 1999 and are dedicated to bring you the best of the golden age of radio! Old Time Radio and sitting on the computer monitor. Molly was named after Fibber McGee and Molly. 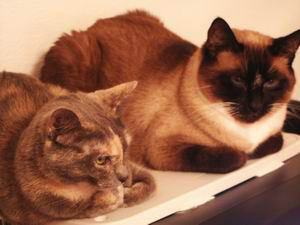 Both cats enjoy the radio shows -- really! The OTRCAT mascot was adopted from the Kitten Rescue animal shelter in Los Angeles. A Siamese-mix with white paws, he was very timid when we met him. He would never sit on our laps until one evening when we were listening to You Bet Your Life. He marched into the room, jumped onto the radio, opening the MP3 player, made quite a commotion, then ran out of the room. After he regained his composure, we got settled, and he shyly hopped onto my lap. We spent the evening listening to Groucho Marx and enjoying the company of our new friend, OTRCAT.